Actress Kim Sae-ron’s mother is a hot issue for her very young looking appearance. 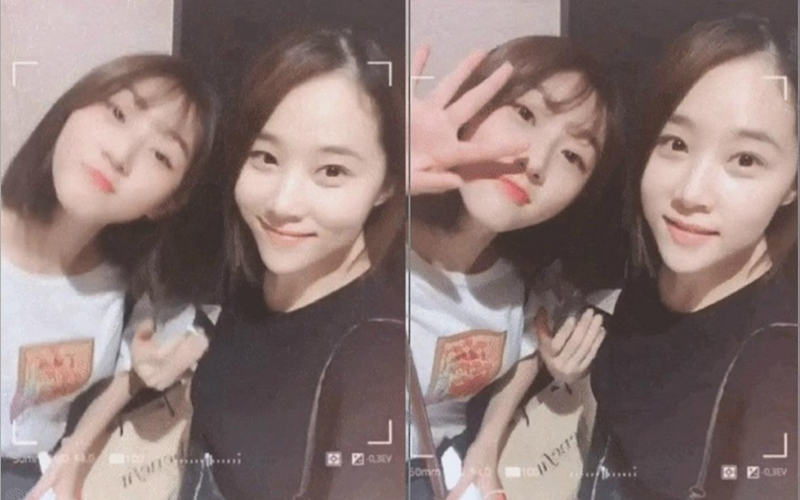 Recently, new photos of Kim Sae-ron and the 19 year-old actress’s mother were posted on online communities. In the photos, Kim Sae-ron and her mother are looking at the camera together, taking selfies. The two look like sisters in the photos. It has been revealed that Kim Sae-ron’s mother is 39 years old, born in 1980. Kim Sae-ron was born in 2000. The mother had her first daughter when she was 21 years old. After seeing the photos, people have commented: “She looks super young!”, “I thought she was her sister”, and more. Meanwhile, Kim Sae-ron made her first debut back in 2009 through the film’ Traveler’, and have appeared on movies and dramas including ‘The Man from Nowhere’, ‘I Am a Dad’, ‘The Neighbor’, ‘A Girl at My Door’, ‘Mirror of the Witch’, and ‘The Queen’s Classroom’. Her upcoming film is ‘The Bear (working title)’, which she will star with Ma Dong-suk.